A gymnast had to be carted out on a stretcher from a US college competition after breaking both her legs in a shocking accident. 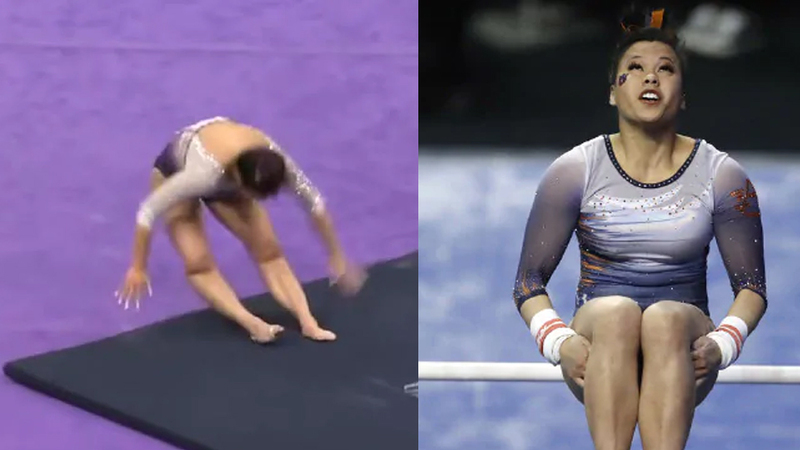 A senior gymnast from Auburn University had to be carted out on a stretcher from an NCAA gymnastics regional event after a serious leg injury during her floor routine. Samantha Cerio was making her first pass at the Baton Rouge Regional, attempting a handspring double front with a blind landing when she made the hard landing and fell to the mat. Cerio was reportedly screaming in agony on the floor and clutching both her legs before she was tended to by medical staff and athletic trainers. Auburn officials have not given a specific update on Cerio’s injuries, but Nola.com reported Cerio dislocated both of her knees and broke both of her legs.